Ultra Plush Oval Pet Bed Just $12.99! Down From $100! Ships FREE! You are here: Home / Great Deals / Ultra Plush Oval Pet Bed Just $12.99! Down From $100! Ships FREE! 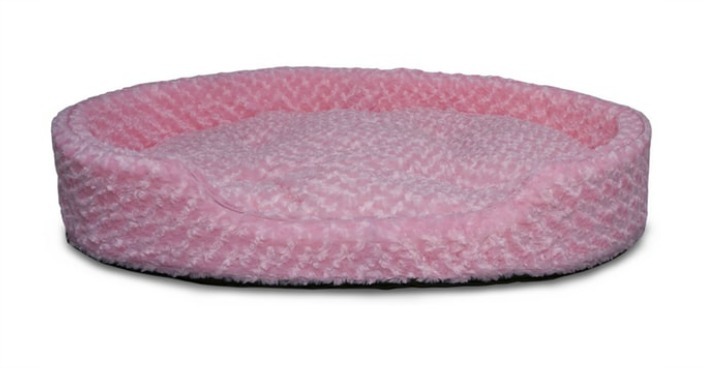 Tanga has this Ultra Plush Oval Pet Bed for just $12.99 (Reg. $100) today only! The nap pet bed ultra plush oval lounger is so soft and silky, you’ll wish we made one in your size. Designed for pets who like to curl-up in comfort, this traditional-style “nest” or “cuddler” dog bed / cat bed features foam walls to support hips and back. The tufted, fiber-filled insert pillow cushion is removable for more frequent cleaning of the sleep surface. Foam wall cover is zippered and removable for washing (machine or hand washable). The foam core is also hand washable to keep your pets bed smelling fresh and clean.